Christian Padilla joined The Bienstock Group in 2016. Prior to Real Estate, Christian attended California State University, Fullerton, where he studied business administration. Simultaneously, Christian worked in advertising at the Los Angeles Times. His Mother has been in the Real Estate business for over 20 years. Therefore, Christian grew up around the Real Estate business, and has always loved the energy surrounding it. He quickly learned that, honesty and communication are among the most important factors in getting the best deal done for the client. He believes that, when representing a buyer, his job is to get their dream home, at the lowest price possible, with the least amount of stress, and in the fastest time possible. 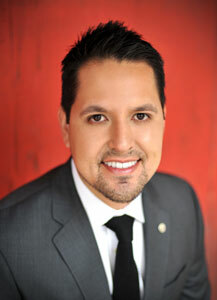 Christian has sold; single family properties, investment properties, brand new construction, as well as condos. Christian goes where clients need him, and most importantly, is never too busy! When Christian is not working he tries to spend as much time as possible at the beach and going to concerts with friends. Growing up in Southern California, music, snowboarding, surfing, and guitar have always been big parts of his life.